One of the greatest challenges for me as a mother of young children was feeling that I was never finished with anything. I would clean up the kitchen after a meal and almost immediately someone was getting a snack, needing me to fix something for a bake sale ….the list could go on and on. •	Laundry – need I say more? •	Clean sheets – someone throws up in bed right after you wash the sheets, bedspread, etc. •	Vacuuming – our children used to ask “who is coming over?” when I got the vacuum cleaner out, then as soon as I vacuumed, someone tracked in newly mown grass or mud. 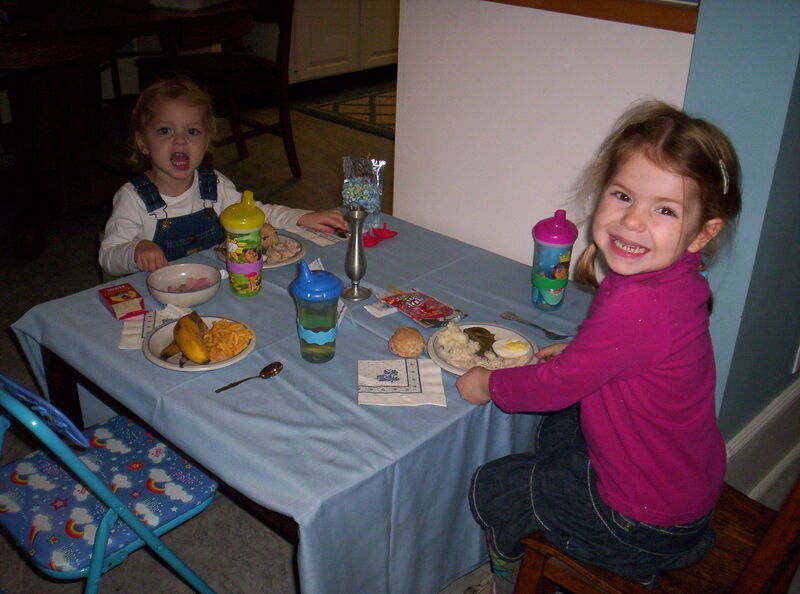 •	Meals – we all need to eat, but for moms the day often seems to flow from one meal to the next and looking back on my day, sometimes that is all I seemed to do. •	Picking up – I have sorted the toys, put all the puzzles together, and straightened the books …..then the children wake up from their nap. All is undone in a matter of minutes. Wait – clean and organized home is NOT an accurate description of our house at that time. The Health Department was never called in, we never had to call exterminators, but we lived in our house and you could tell we had four small children. The issue of never finishing tasks was the concern for me. Yet in the flow of daily living these repeated tasks were essential to the well being of our life as a family. During the past week following our Easter celebration, Jesus words on the cross “It is Finished” have caused me to see His death and resurrection in a new way. v.28 Later, knowing that everything had now been finished, and so that Scripture would be fulfilled, Jesus said, “I am thirsty.” v.29 A jar of wine vinegar was there, so they soaked a sponge in it, put the sponge on a stalk of the hyssop plant, and lifted it to Jesus’ lips. v.30 When He had received the drink, Jesus said, “It is finished.” With that, He bowed His head and gave up His spirit. Jesus death and resurrection was a complete work. Jesus Himself said “It is finished”. There is nothing that anyone can do to make His salvation more complete – neither doctrine nor effort on our part will replace or enhance the salvation that Jesus bought for us with His shed blood. Jesus paid the price so that I can live in freedom from the guilt and weight of my sin. It is not something I must do over and over again like the laundry. Once I confess my sin and receive His forgiveness, I am a new creation – not just a remake – but completely new. v.16 So we have stopped evaluating others from a human point of view. At one time we thought of Christ merely from a human point of view. How differently we know Him now! v.17 This means that anyone who belongs to Christ has become a new person. The old life is gone; a new life has begun! v.18 And all of this is a gift from God, who brought us back to Himself through Christ. And God has given us this task of reconciling people to Him. It is finished and I am so thankful!